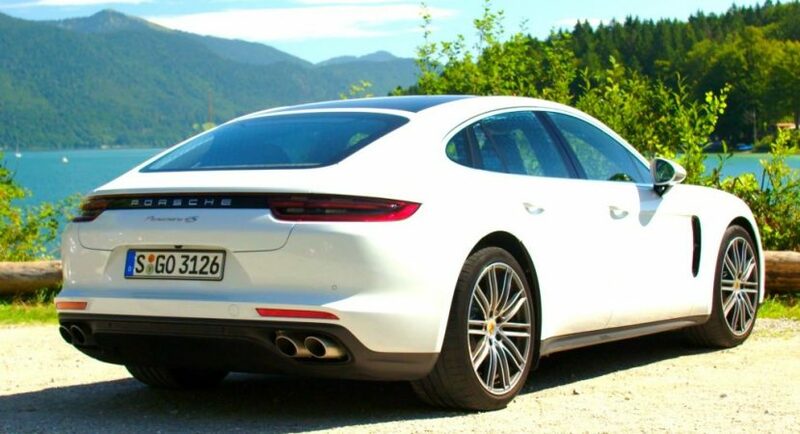 Porsche German sport carmaker has finally managed to create the most beautiful and most powerful diesel model in the entire world, which is no other than the recently introduced 2017 Panamera 4S diesel. It is so exclusive that in Germany, the model costs €116,954. Performance wise, the 2017 Porsche Panamera 4S Diesel comes fitted with a massive 4.0-liter bi-turbocharged V8 engine, with 422 horsepower produced between 3,500 – 5,000 rpm and whopping 850 Nm of torque, available at a low 1,000 rpm. All the power is sent to all wheels via a high-performance eight-speed PDK transmission, allowing a sprint from 0 to 100 km/h in just 4.5 seconds, at a topping of 285 km/h. And even if the model weighs 2,050 kg, it still becomes the fastest diesel saloon model in the world. Two videos below are showcasing the model wearing to gorgeous colors, the Carrara Metallic and Night blue Metallic body wraps. Surely, besides the two standout exterior, the videos are also highlighting the car`s sheer force and exquisite driving capabilities. I can`t help it though and still want to praise the car`s body styling and design lines, the model being the first Panamera ever built to receive positive critics. It is exquisite, evolutionary in all its design forms and extremely aggressive, its attitude being highlighted by the advanced aerodynamics. But perhaps words are useless at this point, instead feel free to enjoy the two videos with the outstanding 2017 Porsche Panamera 4S Diesel in its plenitude! Also, don’t forget to share your opinions in the comment section!